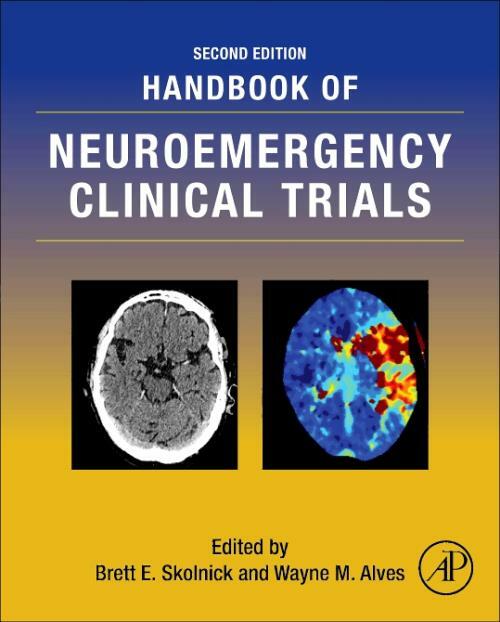 Handbook of Neuroemergency Clinical Trials, Second Edition, focuses on the practice of clinical trials in acute neuroscience populations, or what have been called neuroemergencies. Neuroemergencies are complex, life-threatening diseases and disorders, often with devastating consequences, including death or disability. The overall costs are staggering in terms of annual incidence and costs associated with treatment and survival, yet despite their significance as public health issues, there are few drugs and devices available for definitive treatment. The book focuses on novel therapies and the unique challenges their intended targets pose for the design and analysis of clinical trials. This volume provides neurologists, neuroscientists, and drug developers with a more complete understanding of the scientific and medical issues of relevance in designing and initiating clinical development plans for novel drugs intended for acute neuroscience populations. The editors provide the best understanding of the pitfalls associated with acute CNS drug development and the best information on how to approach and solve issues that have plagued drug development. Dr. Skolnick is a Clinical Associate Professor of Neurosurgery at North Shore-LIJ School of Medicine in Manhasset, New York. He has a broad based experience with development responsibilities in neurology that includes Intracerebral hemorrhage, traumatic brain injury and stroke as well as more recently in the area of inflammation having worked on the development of multiple monoclonal antibodies in Psoriasis, Rheumatoid Arthritis, Crohn's disease and Ulcerative Colitis. Dr. Skolnick has previously worked as a clinical development consultant to pharmaceutical companies with a focus on early novel drug development. Dr. Alves is Vice President of Clinical Operations at Evoke Pharmaceuticals, Inc. in Solana, California. He has held academic positions conducting basic clinical research in neuroemergency populations, and has served as consultant to numerous companies seeking to develop novel drugs.